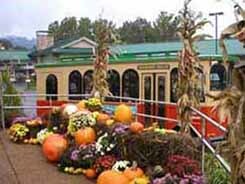 There are many wonderful special events in the Smoky Mountains throughout the year. The spring months bring arts and crafts festivals and Dolly's Homecoming Parade in Pigeon Forge. Summer features musical festivals, bbq festivals, arts and crafts festivals, and food festivals. Car shows are plentiful in spring, summer, and fall. 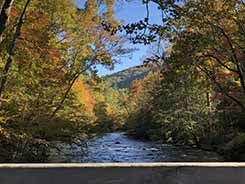 The Fall months feature more arts and crafts festivals throughout the entire Smoky Mountain area which bring in some of the country's finest artisans. Southern gospel music fanfares are held in summer and fall. Winter is our annual Smoky Mountain Winterfest. You will have an opportunity to meet the famous author - Robert Beatty, author of the #1 New York Times best-selling Serafina Series, a spooky mystery-thriller about a brave and unusual girl who lives secretly in the basement of the grand Biltmore Estate, surrounded by the opulence of the Gilded Age and the rugged beauty of the Blue Ridge Mountains. This festival is held at the beautiful Sevierville Convention Center. Chuck wagons will gather at Clabough’s Campground (405 Wears Valley Road) for this one-of-a-kind outdoor cooking event. Cooks will be serving up made-from-scratch dishes at noon. The day also includes several free activities from 9 a.m. to 5 p.m.: an old-time Western Buckaroo Roundup for children of all ages featuring free entertainment. Dollywood's Festival of Nations features the most captivating entertainment from around the world during this celebration of music, dance, food and art. Celebrate the art and heritage of quilting with other uilters from all around who come together in Pigeon Forge for this ultimate quilting event. Quilters have the opportunity to attend classes that are based on skill level and technique. There is also a quilt show that displays a variety of quilts for your viewing pleasure. 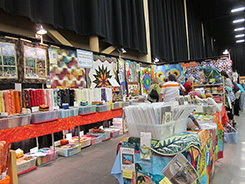 This crafts show is showcased in the Gatlinburg Convention Center in downtown Gatlinburg. You can meet and visit with more than 100 members of the Arts and Crafts Community as they produce one-of-a-kind works of art available for purchase. Some of the artists and crafters are second, third and even fourth generation artisans carrying on the tradition of their heritage while making a living the way pioneers did back in the 1760s and ‘70s. Admission is free! Adults and children, visitors and locals, participate in this annual fishing tournament. Multiple categories are offered in the largest trout tournament in the Smokies. All Gatlinburg and state fishing regulations are observed. For information, call 865-661-3474 or email rockytopoutfit@aol.com. The Wildflower Pilgrimage, which began in 1951, offers over 150 programs. Programs include instructional walks and guided hiking tours tailored to meet individual walking skill and ability, along with demonstrations and guest lecturers. 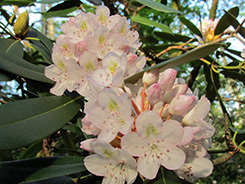 These tours showcase the abundant varieties of wildflowers, plants, ferns, mosses, trees and shrubs, as well as birds, reptiles and amphibians, all native to the Great Smoky Mountains. 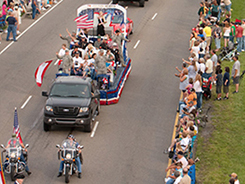 Formerly named Dolly's Homecoming Parade, this grand event draws over 50,000 fans. The parade begins at 6:00 PM and travels from traffic light #6 to traffic light #3. You will see uniquely decorated floats against the backdrop of the Great Smoky Mountains. 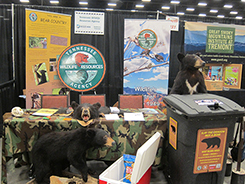 Nature lovers, hikers and outdoors enthusiasts gather annually for Wilderness Wildlife Week™ in Pigeon Forge. 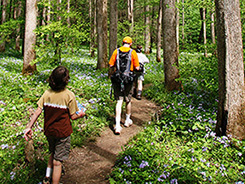 Educational programs are designed specifically for youngsters and there are guided hikes into the Great Smoky Mountains for the more adventurous folks. Wilderness Wildlife Week offers a variety of programs for all ages and interests. The event is free and open to everyone. Seminars and workshops are offered daily at the LeConte Center. From 5:00 p.m. to 8:00 p.m. on the Parkway between traffic lights 6 and 8. The festival is free, but attendees can purchase a spoon for $10 and sample recipes from all booths while supplies last. Children ages 7 and under can sample for free. Area restaurants, businesses and caterers prepare traditional and original beans and cornbread recipes for tasting while vying for top honors in the cook-off. Bush’s Best beans will be featured in all the recipes served at the festival. 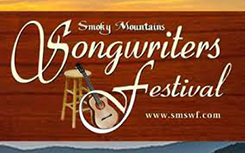 Held annually in Historic Downtown Sevierville, this is a very popular Sevier County festival. Teams from all over the Southeastern U.S. compete in a BBQ cookoff. There are bluegrass music competitions and a Mountain Soul Vocal Competition where contestants sing songs written and performed by Dolly Parton herself. Bring your barbeque-eating hands and your bluegrass-tapping feet to the Dollywood Barbeque & Bluegrass Festival. With the price of Dollywood park admission, you get access to free concerts by some of the greatest bluegrass acts in the country and great food to go along with it. When you’re ready for some southern dishes, head over to the Barbeque Headquarters at Market Square where you can try some Tennessee pulled pork, delicious ribs, and succulent chicken. A variety of sauces will be available from savory sweet to smokin' hot. Shop over 200 unique craft vendors and businesses of all types! Take in lunch while listening to LIVE Bluegrass music from local bands! Spend the day at the shopping event of the Summer at the Sevierville Convention Center. This is a free event with lots of free parking on the scenic campus of Wears Valley Ranch, 3601 Lyon Springs Road, Sevierville, TN. Enjoy a great event and shop for a cause -- wooden items, hand crafts, vintage finds, apothecary, jewelry, furniture, and more! Mountain music will be in the air and delicious food will be available for purchase. Behind the Scenes tours of the Wears Valley Ranch campus will be offered. Rain or shine - in the heart of beautiful Wears Valley - between Townsend and Pigeon Forge! Bring your coolers, bring your friends. Put your lawn chairs along the Pigeon Forge Parkway with 100's of other chairs and be part of all the action. More than 100,000 people attend this major event which includes magnificent floats, marching bands, and much more. Held in downtown Gatlinburg. Teams of 16-20 members compete in relays using authentic 46-foot long Hong Kong style boats for medals, top trophy as well as bragging rights. Make a day of it on Douglas Lake, 1680 Boat Launch Rd, Sevierville, TN. Fun for the entire family. “Celebrating Our Appalachian Musical Roots" -- This 4-day festival is held in downtown Gatlinburg featuring "Hit" songwriters. The public is invited. Free Live Entertainment. Songwriter Opportunities: song competition, workshops, co-writing with hit writers, mentoring sessions and stage spots. Rain or shine. Bring your coolers, bring your friends. Put your lawn chairs along the Pigeon Forge Parkway with 100's of other chairs and be part of all the activities. Ober Gatlinburg celebrates October with a festival featuring Bavarian-style food, drink and music to commemorate the 206th anniversary of Octoberfest held in Munich, Germany. Dressed in authentic costumes, the Bavarian Fun Makers Band will perform traditional Bavarian folk dances, schuhplattling, oompah music, sing-a-longs, yodels. Shows and multiple performances will be held every day during Oktoberfest. Special Oktoberfest Biers will be served along with traditional German wurst, schnitzel, sauerkraut, strudel, pretzels and more. 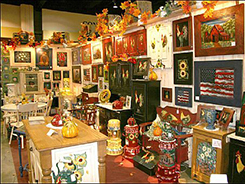 The Gatlinburg Craftsmen’s Fair features Artisans and Craftsmen from all over the U.S. Two hundred booths with unique and one-of-a-kind handmade products, are beautifully displayed. You will also have an opportunity to watch skilled craftspeople demonstrate their talents. Each participant is subject to a jury process to insure the uniqueness and quality of their respective products. The Fair also features Country, Gospel & Bluegrass Music Shows. This event was voted one of the Southeast’s “Most Popular Events”. Adults and children, visitors and locals, participate in this annual fishing tournament. Multiple categories are offered in the largest trout tournament in the Smokies. All Gatlinburg and state fishing regulations are observed. The Homecoming centers around the Robert A. Tino Gallery and the art of Robert Tino. For over 30 years Robert has been capturing the beauty of the Smoky Mountains and East Tennessee. Join Robert and other local artisans and craftsmen for a celebration of our mountain heritage. There's something special for all age groups. Live music and food vendors. At 138 Bruce Street in Historic Downtown Sevierville, this will include over 30 home and professional brewers, live music, great food, and good friends. Come out to join us from 1:00-6:00pm. All proceeds to benefit local charities. Shows, great holiday food, shopping, rides, and more! Dollywood brings a Christmas classic to life through its performance of It's a Wonderful Life. 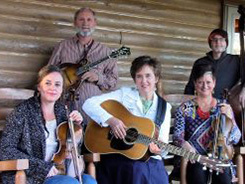 Celebrate an acoustic Christmas at the Back Porch Theater with Appalachian Christmas. Meet Rudolph and His Friends. Christmas in the Smokies -- Dollywood’s musical Christmas tradition features a 14-member cast performing hometown holiday favorites that celebrate the joy of the season. Celebrate a Southern gospel Christmas as the Kingdom Heirs keep your spirits high with your favorite Christmas hymns and songs. The Robert F. Thomas Chapel hosts worship services at 5:30 p.m. each Sunday throughout Smoky Mountain Christmas festival. Gather the family for the Parade of Many Colors, an exciting new holiday tradition performing nightly. 'Twas the Night Before Christmas -- A family finds its own Christmas miracle with the help of a mysterious, white-bearded stranger. Listen to four ladies’ do an cappella performance of traditional Christmas standards puts a new twist on classics. From the 407 Exit at I-40 in Sevierville, TN to the border of Great Smoky Mountains National Park, nearly 20 million lights adorn the highways, attractions, and shopping outlet. 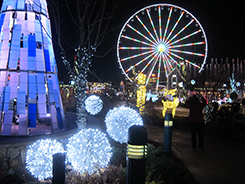 Many exciting activities are planned for this year's Smoky Mountain Winterfest. You won't want to miss them! Gatlinburg will be serving up homemade chili, from mild and delightful to wild and adventurous. The event takes place from 5 to 8 p.m. in downtown Gatlinburg. There will be a ceremonial lighting of more than 3 million lights throughout the city to kick off Winterfest. Participants in the Chili Cookoff will be competing for the coveted People’s Choice Award, Best Booth Presentation. The event is free, but tickets for chili sampling are $10. There is also a special edition t-shirt available for purchase. 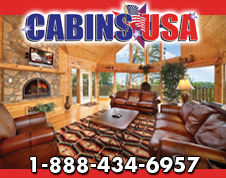 This is a day Gatlinburg celebrates and salutes America’s veterans of the Armed Forces. Moving music and words of tribute will take play at Ripley's Aquarium Plaza. The ceremony starts at 11:00 a.m., a free event. This craft show is held in the Gatlinburg Convention Center in downtown Gatlinburg. You can meet and visit with more than 100 members of the Arts and Crafts Community as they produce one-of-a-kind works of art available for purchase. Some of the artists and crafters are second, third and even fourth generation artisans carrying on the tradition of their heritage while making a living the way pioneers did back in the 1760s and ‘70s. Admission is free!